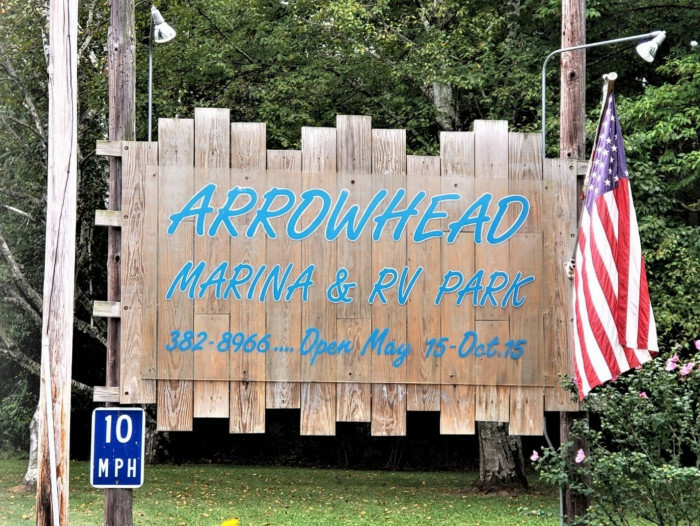 Ask fellow campers about "Arrowhead Marina & RV Park" and nearby attractions. 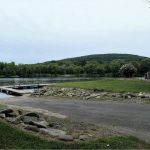 **Note, park does not accept credit cards** This park is a good location to Schenectady and right on the Mohawk river. The park is quiet and clean and lush. The sites are pretty close together and the one we had was particularly un-level to the point of being 1 of the most un-level sites we've experienced in our 2 yrs of full timing. This was really the only negative for the park but it was a pretty significant negative and bothered me enough to knock a star off just for that. The staff was very friendly. The owner's son checked us in and he was really nice so I don't know about the previous reviews indicating bad customer service, but we did not experience that. Park is easy to navigate with good roads in and out. Big rig friendly and good location to the hwy. Sites are gravel. Drainage was good after rains. The internet. OMG the internet was phenomenal. Free wifi that was over 100mb d/l the entire 2 week stay even with a fairly full park. No cable (they should remove that from their website) but OTA channels were good signal and all the channels you'd need. Because their internet was so great, I didn't use the hotspots but I did test them and both Verizon and ATT had good speeds (over 10mb) w/out booster. We had a 50 amp FHU and it there were no issues with that. Lots of walking opportunities and there's a great paved bike trail right by the railroad tracks where you turn to enter the park. It goes for miles. Used Cunningham's laundromat in Scotia and it was great. Very clean and fair priced with lots of large machines. 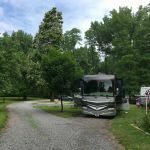 We camped at Arrowhead Marina & RV Park in a Motorhome. 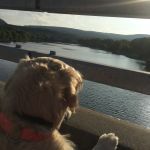 Right along the Mohawk River. Very friendly staff. They don't take credit cards. Satellite reception was good using Dish and the Eastern arc. 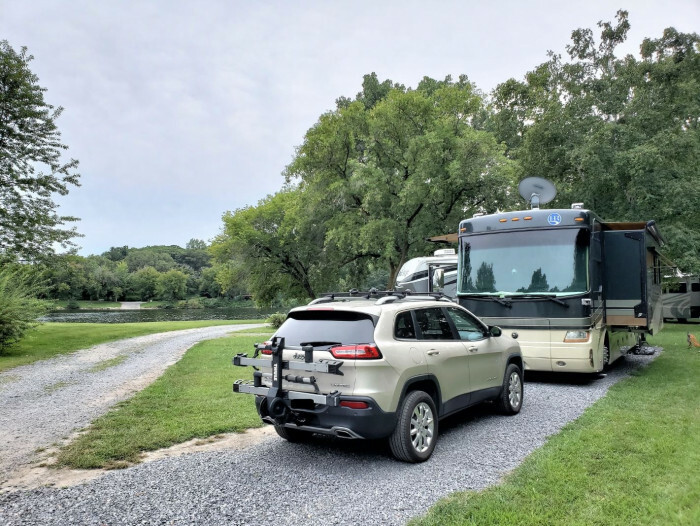 We camped at Arrowhead Marina & RV Park in a Fifth Wheel. 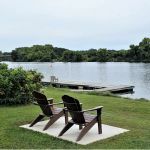 You won't be disappointed staying at Arrowhead Marina & RV Park, nestled alongside the Mohawk River in a parklike setting. Direct access to the river is provided at the park; we enjoyed a nice long kayak adventure up the river. Although most of the sites are under a canopy of trees, we were able to secure a wonderful long, level site with a river view and perfect satellite reception. Roads and sites within the park are gravel, complete with a picnic table and fire ring. The park office is located a short distance from the actual entrance to the park, so don't become concerned about the seemingly long drive. Access to the park is across a set of railroad tracks with an immediate right-hand turn; a bit tricky in a long coach with a tow if you are not expecting the quick turn. Fortunately, the road onto which you turn is not busy, so swinging wide is not a problem. Check-in at the park was quickly accomplished by a wonderfully friendly and accommodating owner, who went out of her way to make sure we had everything we needed...even to the point of offering to extend our stay in the same site, should we need it. 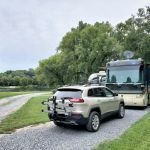 (Our coach had been damaged by an inattentive truck driver at a fuel stop during our drive to the park, and we were not sure how long we needed to stay while repairs were made. Luckily, our newly-acquainted neighbor at the park recommended a wonderful repair facility in Scotia, NY, where we were able to get needed repairs done quickly and efficiently.) In between repairs, we were made a trip into Albany to visit the state capitol and city sights. Also a minimal biking distance from the park is the entrance (located in the Rt. 5 Park & Ride - back across the railroad tracks) to the Mohawk Hudson Bikeway which we rode all the way into Schenectady. Should we ever be in this area again, we would not hesitate to stay at Arrowhead again, nor do we hesitate recommending this park to everyone. 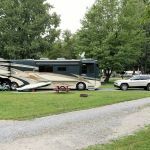 We camped at Arrowhead Marina & RV Park in a Motorhome. We called at the last minute requesting a pull thru site. They were very accommodating getting us just what we needed for a one night stopover. The site had new gravel and was recently upgraded to 50 amp. We did have to disconnect the fifth wheel in order to raise the trailer to get level. The train noise is loud and constant as others have noted, so just plan on running a fan or a/c unit to generate some white noise while sleeping. This is a great stopover, just a few minutes off the Thruway. And the views of the river are nice. The staff is very helpful, we observed them assisting a couple with a soft tire on their towed car. We will stay here again. 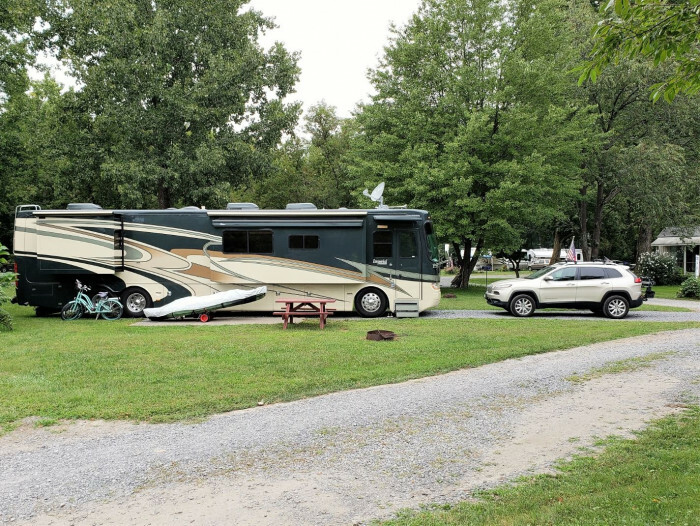 We camped at Arrowhead Marina & RV Park in a Fifth Wheel. Enjoy the benches on the river bank and dock. We spent three weeks here while work was being done on our home. There were no sewer sites available at that time, but being pumped out as as easy as walking to the office and requesting the service. 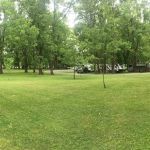 The RV park was very clean and well kept. The owners were extremely helpful, and went out their way to help us out. There is no cable right now, but local channels were easy to pick up. I would highly recommend a stay here. We camped at Arrowhead Marina & RV Park in a Motorhome. Nice quiet park. Not much to do if you are not boating/kayaking but we were there to visit family. Very nice site to come back to at the end of the day. Will stay again. We camped at Arrowhead Marina & RV Park in a Motorhome. Went to Berkshire Theatre in Pittsfield MA. It was about an hour away. Fantastic theatre. We camped here one night last year and I felt I did not have sufficient information to do a full review. This time we stayed two nights and enjoyed the camp very much. Like others have said this park has many well manicured grassy sites with mature shade trees through out the park. It is very quiet and I love the fact that there are no golf carts driving around all day. Showers and laundry are in a "trailer" building. Although they are a bit old, the showers have everything you want, towel bar, seat, dressing area with drainage mat, and plenty of hot water. Staff is very courteous and eager to please. 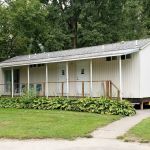 We were to have a FHU site but when we arrived we found out that the person on the site we were to have had technical difficulties and was waiting for a part so we were offered a water/electric 30 amps and one night free. With a clean and easy to reach pump out area, I thought it was a great bargain. They even have a fenced dog area large enough to throw a toy. 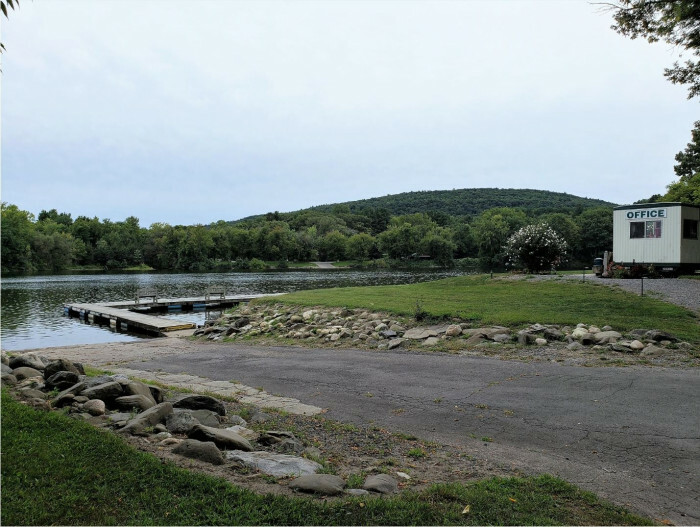 No special amenities for children but great views of the scenic Mohawk river. 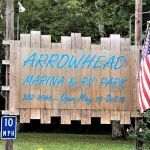 We camped at Arrowhead Marina & RV Park in a Travel Trailer. We drove to Lock 14 in Palatine Bridge where we watched trains and boats pass through the lock. There is a very nice park for picnics too. This is an absolutely beautiful RV Park. The roads and sites are gravel, with green grass and trees everywhere. We are unable to get satellite service at our site. Internet service is good. A staff member has been extremely helpful, first with our car that wouldn't start; and then trying to get sateliite service. It's a medium size park with circular areas for RVs. There is a large fenced in grassy area for dogs. We camped at Arrowhead Marina & RV Park in a Motorhome. Albany is about 30 miles away and Cooperstown is about 60+ miles away. If you have a boat, kayak, etc., a river runs through and there are docks to tie up to. Site was level, clean. A bit close to other sites but very workable. We were about 100 feet from river. OTA TV worked well. WiFi worked well. No sewer at site, dump station available. Great little campground. Cash or checks only. Could barely hear trains. Will stay here again!! We camped at Arrowhead Marina & RV Park in a Motorhome. Close to Albany--visited the Capitol Building. Nice park but bring your earplugs. Train are noisy. New this year there is no cable tv (they cancelled due to cost) and you will not get any satellite reception as way too many trees. Park is right along river so nice view. Fun to watch the boats go by. Bathrooms are ok, not great but ok. Also, no camp store on premises so bring what you need. We camped at Arrowhead Marina & RV Park in a Motorhome. Very nice setting on the Mohawk River. Tall trees and nicely manicured yet natural grounds. Sites were gravel with a cement pad. Very level. Bathrooms were just ok. Not bad but not any wow. Very nondescript and a little small. They are fine though and shouldn't be a negative in your consideration of staying here. Very quiet. Looks to be a lot of either residents or weekenders that are quiet or not there midweek. Reviews talked about the train. Totally not even a big deal or even a thing to mention in my opinion. Best part: located right by a super nice bike trail. The trail access is by the Park and Ride which you will see at turn by railroad tracks upon entrance. It is a paved trail so it is great for bikes, etc. Super nice running trail for a nice run. Zeus and I did 6 miles easily and could have done more if we wanted. Like reviews state, be aware to swing wide on the right turn at railroad tracks. No play ground or really kid things but there is pavement for a scooter, bike, etc. Wide open tree/lawn space for frisbees or such. 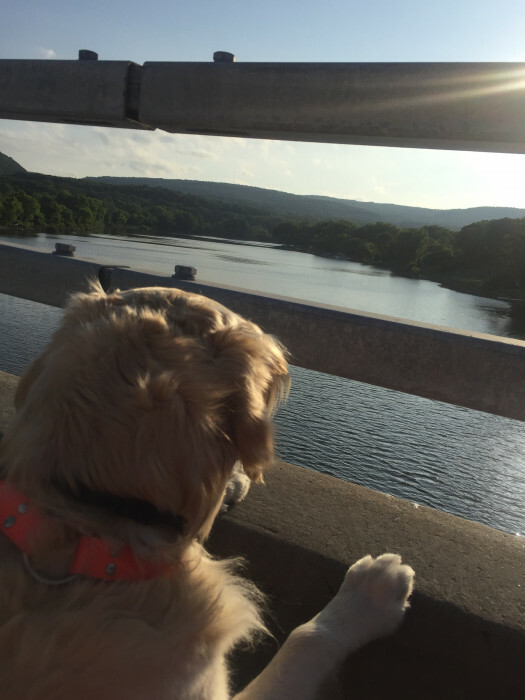 We camped at Arrowhead Marina & RV Park in a Travel Trailer. 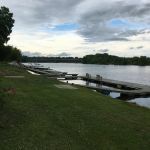 Beautiful park setting with a boat launch on the Mohawk River. Level sites, moderately treed - nice fall setting for this visit. 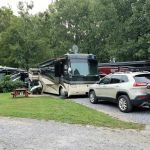 We camped at Arrowhead Marina & RV Park in a Motorhome. On your approach to the campground, there is a 90 degree turn to the right just over a set of railroad tracks. If you are travelling long, as we do (41' with 24' trailer), prepare accordingly or you will drag your trailer over the tracks. This is a lovely park by the river. One of the prettiest we have stayed at. However I must disagree with some other reviews on the train noise. We found the train is very loud and it blows the horns many times as it comes by the park. So if you have problems sleeping this could be an issue. 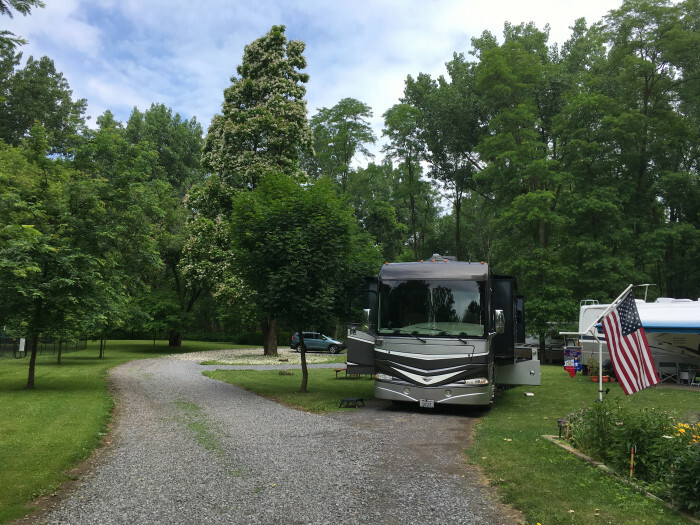 We camped at Arrowhead Marina & RV Park in a Fifth Wheel. Nice RV campground located near Exit 26 off I-90 east of Albany. No road noise noticeable, but a train does run infrequently nearby. 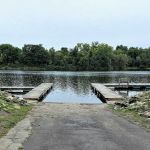 Park like atmosphere, with river access boat ramp, but no boat rental. Full hook ups including cable. WiFi signal was weak. Verizon wireless signal was 3 bars. Friendly staff, but they don't take credit cards. About 30 percent seasonal residents. 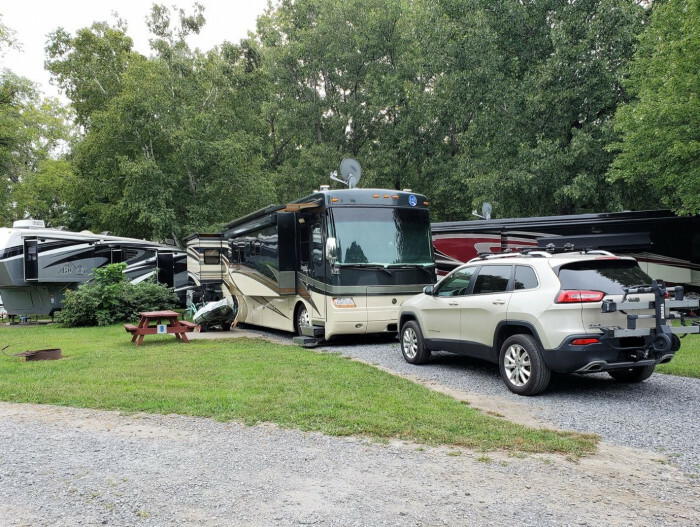 We camped at Arrowhead Marina & RV Park in a Fifth Wheel. Shopping center is 4 miles from campground. Mile off I-890 and close to I-90. On Van Buren Lane, turn immediate right after railroad tracks and follow RV park signs. GPS has you going straight and into a neighborhood. The beautiful park is along the Mohawk River. We called before they opened for the season to reserve a site for a week. Because they were already booked, we were assigned a partial hook up site. We were assured that if there was a cancelation we would be reserved for a full hook up site. When we arrived, we had a wonderful surprise. As promised, we only had a partial hook up the first night , the next day we were able to move to a full hook up. They gave us one of the best sites in the park as we were front row on the river. The owner took great care of us! The partial hook up didn't have sewer, but was pull thru, close to level and heavily wooded. Our river side site was back in, gravel, close to level. We couldn't get satellite at either site, but they have cable. It worked good. There is internet connection, although didn't stay connected, therefore wasn't very good. We had a picnic table, fire ring and concrete patio. There is grass area between sites. Water pressure was ok. Both sites were long enough to fit rig and tow. There is additional parking in the park. Site payment is cash or check. There is a small laundry room, 3 washers and 4 dryers, which was adequate. There is a nice size dog park and plenty of green space to walk dogs. And, yes, there are multiple train tracks in the area, therefore multiple trains, but not running all day and it's not too loud to be a bother. There is a paved trail close enough to walk and bike. The park is clean and well maintained. This park is quiet, no kid activities except the river. We enjoyed the quietness and will stay again at this park. We camped at Arrowhead Marina & RV Park in a Motorhome. 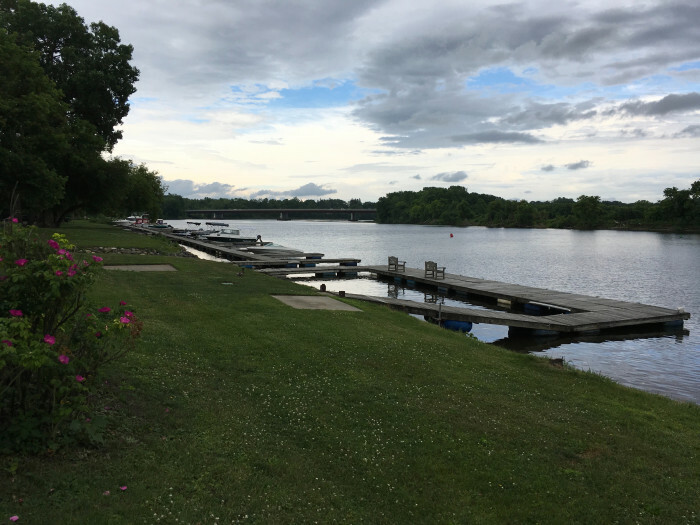 We had a delicious dinner at the Lighthouse restaurant beside the Mohawk River in Schenectady! Beautiful outdoor eating area beside the river. Indoor seating has good river views too. Great food served here! Fun watching the boats going down the river. There are some low clearance railroad bridge overpasses in the area you might encounter if you head into Glenville (there's a WalMart Superstore 15 minutes from the campground), so keep your height in mind and be alert for signs. Saratoga is a beautiful place to visit, and just driving around the countryside is scenic. There is a Walmart about 5 miles away. Albany is a very congested city. Parking near Capitol is bad. We parked at the State Museum and came through the Concourse. If you have a canoe or kayak, this is the park for you! Very easy, attractive water access. Are you affiliated with Arrowhead Marina & RV Park ?